Founded in 1978, Desert Aire has grown to become a recognized leader in manufacturing high performance, energy efficient, refrigeration-based dehumidifiers and dedicated outdoor air systems. While we began over 30 years ago by designing and building dehumidifiers for indoor pool rooms, we’ve expanded our product lines to include equipment for use in a wide variety of applications such as ice rinks, water and wastewater treatment plants, office buildings, schools, universities and many others. 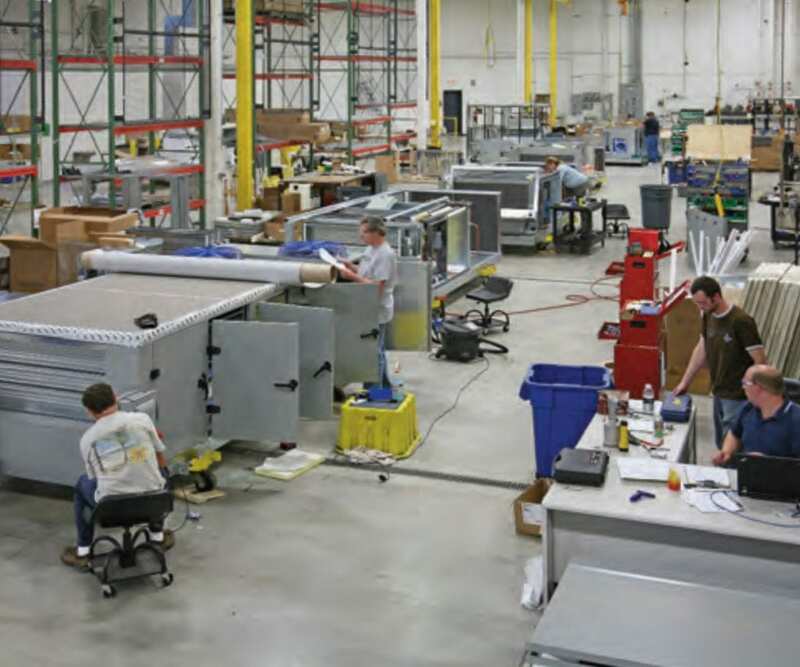 Located in Germantown, Wisconsin, our dedicated staff of expert employees works diligently to ensure that each unit is built and tested to meet your demanding specifications. Our engineers have devoted years of extensive research and experimentation to developing advanced methods of moisture removal. Their ingenuity has enabled Desert Aire to address important dehumidification issues such as ASHRAE 62 and IAQ as well as energy recovery and savings. Desert Aire’s knowledgeable manufacturers’ representatives can provide you detailed product information and proper solutions by analyzing your application and selecting the appropriate Desert Aire equipment that will meet your dehumidification needs. We also pride ourselves on our excellent field support. Desert Aire’s service department consists of in-house service technicians and a national network of Factory-Trained Certified Service Technicians (CSTs). We can provide full, onsite start-up service as well as assist with other equipment problems that may arise. When you need an answer to a difficult problem, you seek out an expert. When the problem is humidity, dehumidify with the experts – Desert Aire.